With the newly added exhibit featuring Jellies from oceans of the world, I was excited that Aquarium of the Pacific had invited us to come and explore. I was thrilled to be taking my girl to see all of the great sea life at the Aquarium of the Pacific. I had been wanting to go to the FREE Shark Lagoon Nights, but just hadn't been able to make the time. We had just under 2 hours to explore the entire aquarium, choosing to arrive in the late afternoon before closing hoping for a less crowed, smoother visit. We were right, we experienced low attendance and had little to no lines to see all the exhibits. If planning on visiting, late afternoons are the best time to go for minimal crowds. The great thing for children on the spectrum visiting the aquarium is the calming effect offered as the animals gracefully move about the tanks. The opportunities to touch different types of sea life from starfish to sharks and yes even the moon jellies is a perfect sensory fix that goes along with the learning experience and all can be touched at your own pace. Since this was our first time visiting as a family and in the late afternoon we missed out on entering the aviary with the Lorikeets which is open from 10:00 to 4:30 so plan accordingly if you think your child would be able to enter. The birds will be flying around and may even land on you. My high functioning girl LOVES to watch the fish. She is so calmed by them, the water and all the colors. The fish are by far her favorite exhibits to see. 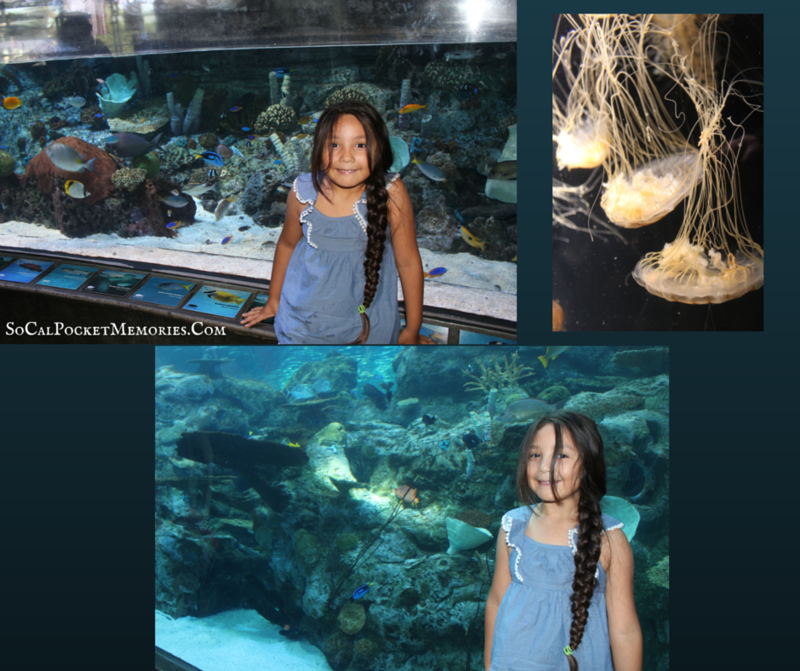 She was shy about touching the sharks but not the jellies. Attending at off peak hours allows for more time at each tank/area and less frustration issues regarding crowds/too many people and not being able to see. I would set aside 2-3 hours to experience the entire aquarium and try to attend in late afternoon. The touch tanks are a sensory dream for the kids. Water and sea life of all different textures is a huge plus and a great way to introduce new experiences. There are no loud noises within the Aquarium and several places to sit and observe some of the larger tanks. The Aquarium is currently projecting a short video within the main hall visible from upstairs as well as down stairs. They close the shades and turn off the lights for a brief time. My girl was worried the aquarium was closing, but after I explained what was happening she was fine with it all. There is also a fun splash pad outside by the shark exhibits, another great opportunity for your kids to get their sensory fix. Could be a great transition for some from the indoor exhibit area to exterior area. The penguin/sea lion area has seating available to just sit and watch so no need to rush. Great place to take a break if needed. Since the aquarium is self guided, it is a good option for children on the spectrum, no need to rush or if things get too over stimulating, you can always break up your visits. Pre-arrival tips: Prime your child as to what to expect- touch tanks, shows and aviary area. Choose less crowded days/times, maybe choose your route as to start/finish points if transitions are an issue. Exit is at entrance (front) of aquarium as well as from the rear where you can circle around to the front from the exterior. 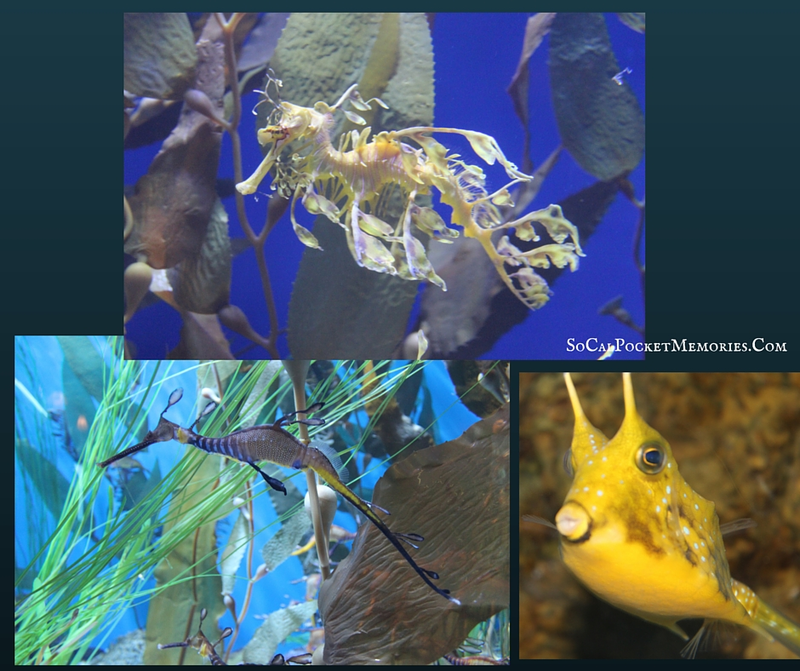 We were invited to the Aquarium of Pacific to check out the Sea Horses and Sea Dragons exhibit! They are such fascinating fishes! We went on a Tuesday after 3pm which is when all the groups and field trips leave and on a night that they had Discounted Late Night at Aquarium of Pacific in which they closed at 8pm. The boys and I loved the exhibit! The exhibit is located upstairs in the Tropical Reef Habitat. The exhibit will be at the Aquarium of Pacific from now until May 2017. Autism Friendly: The Aquarium of the Pacific, the perfect place for learning and a sensory experience. Autism Friendly We Rock the Spectrum kid's Gym Rocks! HUZZAH! Medieval Times Behind the Scenes Tour & Tournament! and GIVEAWAY!